Description: Pink Ribbons is a beautiful and delicate transparent pink with stripes of a vibrant translucent red, while interwoven with your loved one’s or pets cremains/ash. 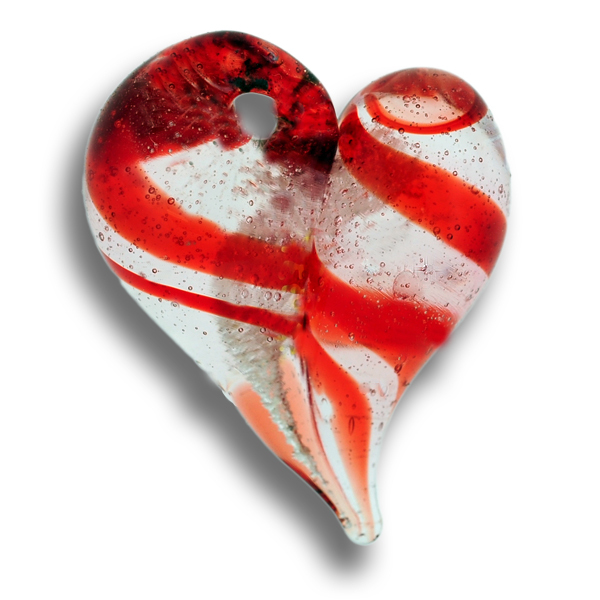 This Cremation Keepsake Pendant is in our classic Heart design made from optical clear Pyrex glass. A soldered Sterling Silver Jump Ring will be added for security. Also available as a Sun Catcher. Necklace: Each cremation pendant comes with a 18″ Silver Snake Chain, as well as a black wax-cotton cord with an extension chain measuring 17 inches to 19 inches.